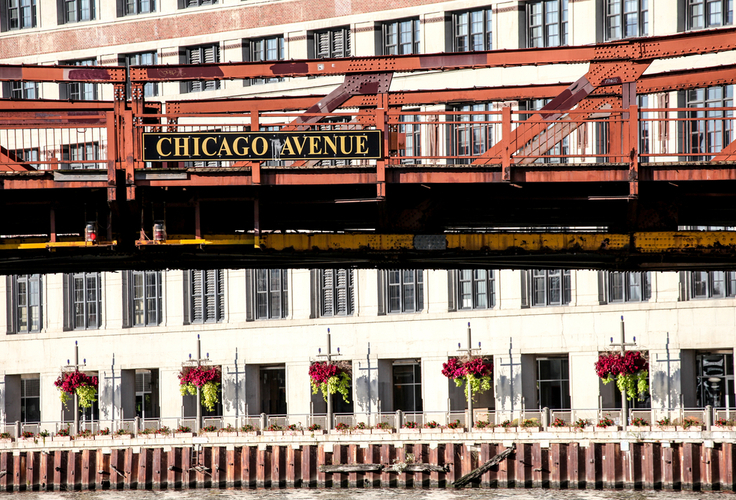 Situated in the bustling River North Neighborhood, you can get to all of your favorite restaurants and nightlife in the Chicago Loop in minutes. If you are looking for a truly unique apartment building, you need to check out the all-glass balconies at this building. All of the apartments feature stunning floor to ceiling windows, for you to enjoy the great views of Chicago's Loop. Granite countertops, kitchen islands, and stainless steal appliances are featured in every kitchen. Pendant and track lighting add a modern feel. Built-in wine racks are just one of the unique features in these downtown apartments, just like the exposed duckwork and all-glass balconies. Apartments have been recently updated with beautiful fixtures, bamboo floors and marble bathrooms.